How tall was Adolf Hitler? 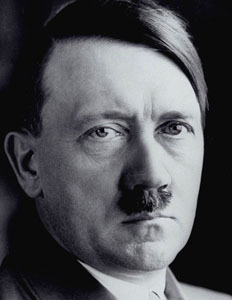 Adolf Hitler was an Austrian born German politician and leader of the Nazi Party. Hitler was born on the 20th of April, 1889 in the small village of Ranshofen in Austria. His family moved to Germany when he was three, and he attended school where it was noted that he did not cope well with discipline. He was expelled in 1904 after his father died. He also had his applications for study rejected twice by the Academy of Fine Arts in Vienna. In 1907 after his mother died he was able to move to Munich. He took up military service and was decorated for bravery in World War I. He was then recruited by the propaganda section of the army to preach German nationalism to the people, and infiltrate the German Workers Party, the DAP, to expose socialist members. 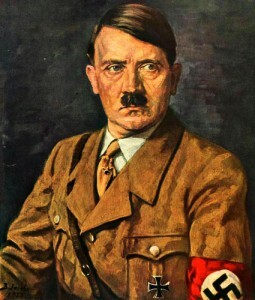 Hitler impressed the DAP members with his oratory skills, and officially joined the party in 1919. The party then changed its name to NSDAP, the National Social German Workers Party. Hitler’s popularity increased, and he was made party chairman. After the Great Depression of 1930, Hitler’s party became more popular, and in 1933 Hitler was made chancellor of a coalition government in Germany. His NSDAP, now know as the Nazi Party, were declared the only legal party in Germany. After the president of Germany died, the presidential powers were transferred to Hitler. making him head of state, and supreme commander of the armed forces. Germany began to improve economically under Hitlers rule, and as his power grew, he began implementing anti-Semitic laws against the Jewish population of Germany. He also violated several parts of the Treaty of Versailles, and then invaded Poland on the first of September, 1939. With Britain and France declaring war on Germany two days later, igniting World War 2. Six years later, the Allies were victorious in the war, and facing defeat, Hitler shot himself in a military banker in Berlin, on the 30th of April, 1945. 6 million Jews or 2/3rds of the entire Jewish population of Europe at the time, were killed in concentration camps and work camps. Under Adolf Hitler’s, Nazis rule almost 40 million people were killed. Including 27 million Soviets and 17 million people who died as a result out of his racially motivated policies.